AstraZeneca and Merck & Co’s partnership to develop ovarian cancer drug Lynparza has got off to a good start after the FDA approved its use in a wider group of women. The drug has been approved for women with platinum-sensitive recurrent ovarian cancer, regardless of whether their cancer has a mutation in a gene known as BRCA. The indication includes epithelial ovarian, fallopian tube or primary peritoneal cancer. Regulators have also confirmed its previous accelerated approval based on immature data, in BRCA-mutated ovarian cancer beyond the third line setting. Lynparza is also available in a twice daily tablet formulation, as opposed to the previous eight capsules twice daily regime. Approvals were based on the SOLO-2 study which confirmed the drug’s benefit in BRCA-mutated patients beyond third-line, while Study 19 showed Lynparza reduced risk of disease progression or death and improved progression-free survival compared with placebo in patients with any BRCA status. Patients in Study 19 had a median overall survival of 29.8 months, compared with 27.8 months for placebo. The news came after AZ and Merck & Co signed a global strategic collaboration to co-develop and co-market Lynparza for multiple cancer types. Lynparza was the first oral poly-ADP ribose polymerase (PARP) inhibitor approved by the FDA, at the end of 2014. Aside from the original use in ovarian cancer, Lynparza’s pipeline has grown significantly in the last few years, with 14 indications being developed across several tumour types, including, breast, prostate and pancreatic cancers. The companies expect the strategic collaboration to further increase the number of treatment options available to patients. AZ and Merck & Co will develop and market Lynparza jointly, both as monotherapy and in combination with other drugs. AZ will develop and market Lynparza in combination with its PD-L1 cancer immunotherapy Imfinzi (durvalumab), while Merck & Co will independently develop Lynparza in combination with its PD-1 immunotherapy, Keytruda (pembrolizumab). 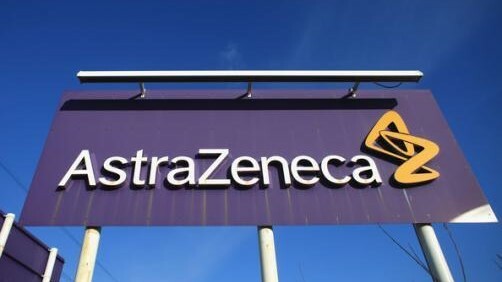 The companies will also jointly develop and commercialize AstraZeneca’s selumetinib, an oral, potent, selective inhibitor of MEK, part of the mitogen-activated protein kinase (MAPK) pathway, currently being developed for multiple indications including thyroid cancer.